Not Exactly man's best friend, Rahzar has more bites than ever before. Coming in contact with Ooze all over again, Dogpound has been mutated into a faster, stronger and more powerful hound. 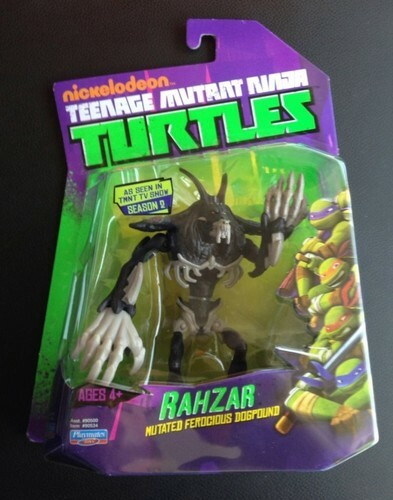 With his fierce hatred for the Turtles and his loyalty to the Foot Clan, Rahzar's new found strength poses an even bigger threat for the Turtles. WEAPONS: Canine Claws & Teeth, Mutated Spikes TEAM: Foot Clan.